18+, New Players Only. Min Deposit: £10. 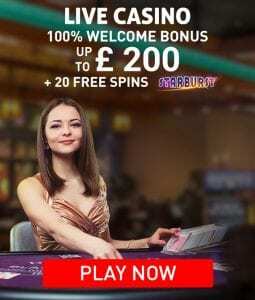 Max Bonus: £500 + 20 Spins on Starburst. Bonus Valid for 30 Days. Selected Slots Only. 50X Wagering. Wagering Occurs from Real Balance. Max Win: 5X Conversion. BeGambleAware.org. Full T’s and C’s – Click Here. This Casino Has a Great Welcome Bonus, and The Latest Slot Games All Available From An Elegant Home Page. Schmitts Casino, often misspelt as Schmitz Casino, is a multi-platform online casino, which simply means it can be easily accessed on multiple devices. Home to games from Industry greats such as Thunderkick, NetEnt, NextGen Gaming, Microgaming, Elk Studios and also several others. The site is available in English as well as German and can be played right from nearly all web browser. Schmitts Casino is certified and also controlled under the regulations of Malta along with the UK Gambling Commission. The format is rather easy to follow at Schmitts Casino, it is simple to navigate and easy on the eye. You have a range of options to choose along the top of the homepage. Alongside the convenient Login/Join buttons, these options are Home, Casino, Jackpots, Promotions, and VIP section. Found at the Bottom of the site is other important information. Players will have access to an outstanding collection of online slots and casino table games. Using software provided by several of the largest names in the market that include NextGen Gaming, NetEnt, Microgaming as well as tons more. When visiting the casino website members can use the ‘Search Game’ feature to find their favourite. There is a limited number of casino table games offered by this casinos website, compared to others in the online casino UK market. However, they do have the most popular variations of Blackjack and Roulette, for example, they offer 3D Blackjack, Vegas Strip Gold Series, Mike Tyson Roulette as well as others. Also on offer is a handful of instant win scratch cards. 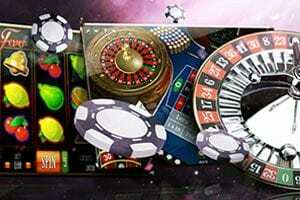 Players who take pleasure in betting against other players, as well as Live online dealers, can enjoy numerous real-time Live online casino table games, which include the highly recommended NetEnt variations. Here at Casino4U, we have assembled a list of selected Live games from the Schmitts Casino review. The online casino website provides the option of the newest and most preferred online casino games which can be played straight via your tablet and on most Android/iOS. No download is required as Schmitts Casino games are fully compatible with almost every web browser. This ensures all casino games are fully optimised on numerous devices. It is Relatively easy to find the support options at this casino, simply, scroll to the bottom of home page. Here you can find the options to contact the casino, such as Live chat available from 8.00am – 12.00am (GMT). Alternatively, the casinos’ members can e-mail customer service agents with any queries. A handy FAQ section is provided for commonly sought after information, a useful first stop for any new player. Schmitts Casino utilizes the most up to date version of full 128-bit SSL encryption security as well as the online casino UK industry-leading firewall technology. As a result, this ensures that their members’ important data and their information is kept as safe as possible at all times. Apart from games featuring Live dealers, as these games are dealt Live by the dealer, you can likewise put your confidence on that this casino makes use of an industry-wide standard random number generator, to make certain their video games stay fair at all times. In conclusion, it is unfortunate that Players from British Virgin Islands, Belgium, Hungary, Bulgaria, Croatia, France, Greece, Denmark, Israel, Belize, Serbia, Spain and the United States of America are prohibited from playing at Schmitts Casino. However, for a complete listing of restricted countries, simply click through to the terms and conditions.